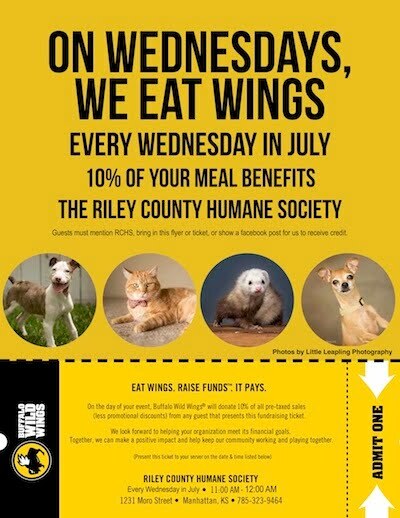 Buffalo Wild Wings is hosting a 10% give-back every Wednesday during the month of July for RCHS! The give-backs last all day so you can stop by for a quick lunch and then go back for a leisurely dinner. The first one will be this Wednesday and all you need to do is show your server the flyer or just mention RCHS to them. This is a delicious way to help raise money for our animals!